are not enough for you? ADA offers you even more: an innovative web app to send, either individually or collectively, an SMS directly from your PC, tablet or smartphone integrated with the platform. You do not need to install any software and may distribute your mobile content at the speed of an SMS, including a short-link to your Mobile Landing Page or Mobile StoryTelling, directly within a text message sent to the client. Your SMS communications will become truly interactive. An SMS Marketing campaign has many advantages: it is a brief but effective communication tool with low costs and an elevated reading rate. But what if you want to interact with your clients and 160 characters is not enough? Millions of people carry their smartphone with them every day. Reaching out to a potential client is more powerful when they can respond immediately with an answer. 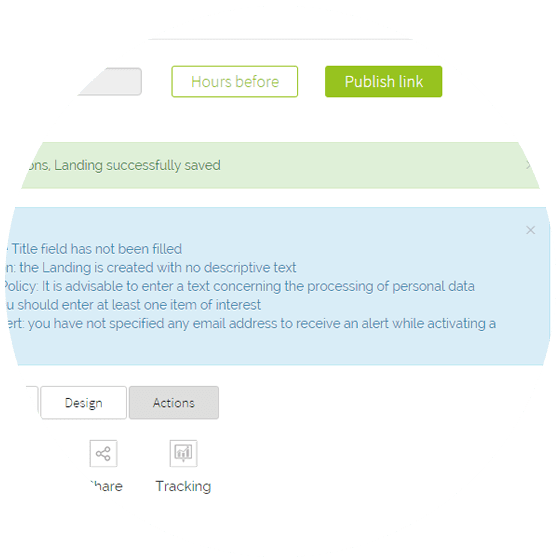 To take advantage of this communication potential, SMS Landing allows you to create and manage Mobile Landings Pages and make them accessible thanks to short-links that are automatically inserted in SMS text messages. 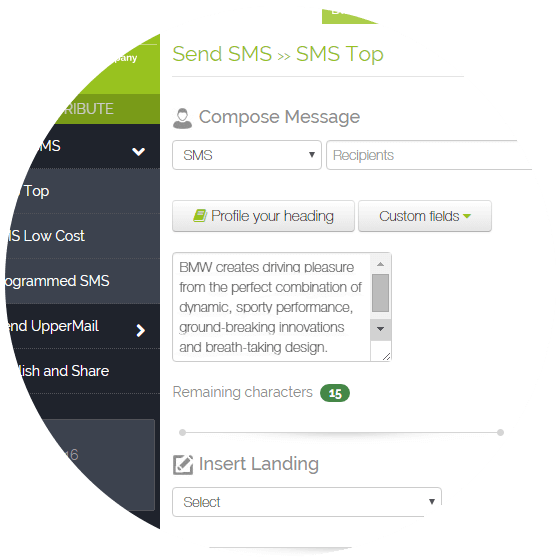 With our web editor, simple and easy to use, in a few basic steps you will be able to transform a simple SMS into a new, completely interactive user experience. 4. The user will receive an SMS and, by clicking on the link in the text message, will be able to access the communication reserved for him or her. ADA is a Mobile Marketing instrument that is flexible and adapts perfectly to your communication strategies, since it allows you to explore multimedia elements such as images, videos, maps, etc… It allows you to invite users to discover your product or service, or record their personal information to register for a new service. 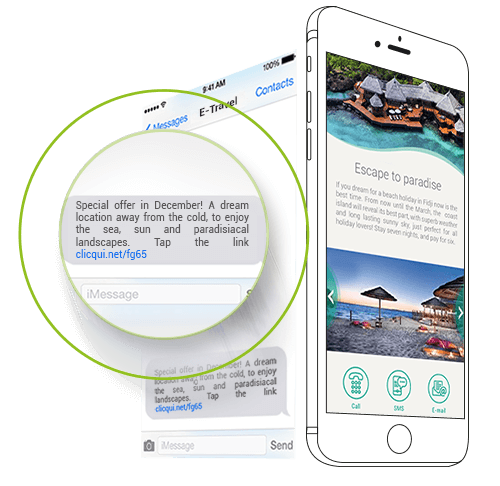 In this way, by receiving an SMS with the Mobile Landing Page or Mobile StoryTelling, the user has various actions available to them, depending on how the solutions have been created. 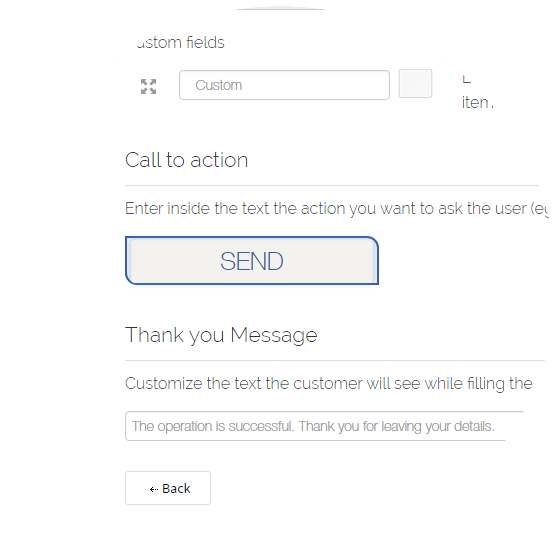 One of the best ways to increase the conversion rate of your campaigns is to optimize the Calls to Action (CTA). 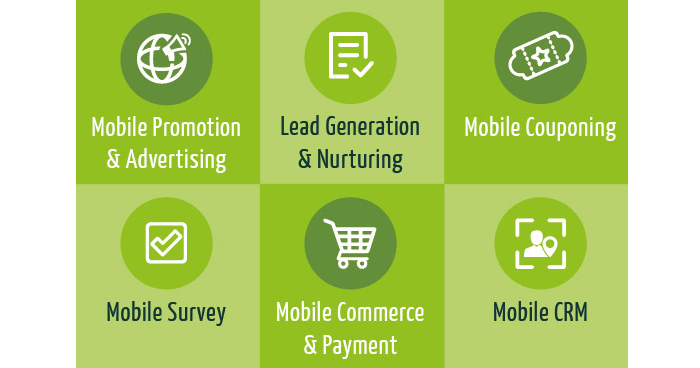 Choose among various Call to Action solutions and convert visitors into Leads.